The reception for Primavera - the first album by the duo of vocalist Sara Serpa and guitarist André Matos - was rapturous, with reviews for the 2014 release using such apt descriptors as "enchanting" (The New Yorker), "breathtaking" (JazzTimes) and "spellbinding" (All About Jazz). The New York Times praised Primavera at length, calling the album "calmly stunning" while adding that the pair's music "capitalizes on their many affinities: as limber improvisers, as thoughtful composers, as selfless ensemble players, and as internationalists hailing originally from Portugal (by way of Boston and New York)Š Primavera is gemlike in its beauty and precision." 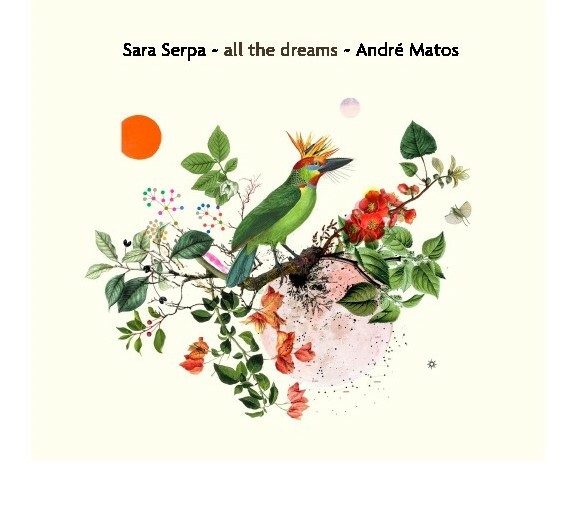 Now, Serpa & Matos present their second duo album, the gorgeous All the Dreams, to be released September 16, 2016, via Sunnyside Records. As with Primavera - which All About Jazz lauded for being "sonically lustrous," with an "intricate melodic sense" - the new All the Dreams glimmers with luminous melodicism and magical atmosphere, the music again casting a spell. 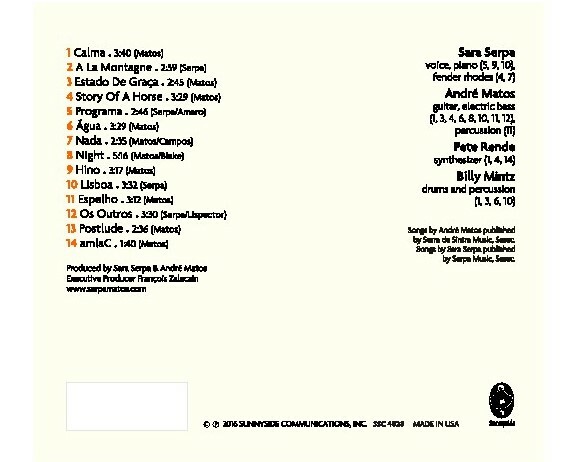 The sound of All the Dreams mixes the organic and the electronic seamlessly, with Serpa and Matos playing multiple acoustic and electric instruments along with using the studio as an instrument; several tracks also feature Billy Mintz on drums and Pete Rende on ambient, Eno/Budd-like synthesizers. Along with Serpa's signature wordless vocalese and the duo's own lyrics, there are songs that draw on words of great poets, both Portuguese and English. Atmosphere and image, poetry and melody - this is the stuff of which All the Dreams is made. The title of the album comes from its lovely song "Nada," which features universalist lines by the Portuguese poet Fernando Pessoa (via his heteronym Álvaro de Campos): "I am nothing, I shall never be anything / I cannot even wish to be anything. / Despite all that, I have within me all the dreams of the world." The title phrase also appears in the poetry of Walt Whitman, a key influence on Pessoa: "I dream in my dream all the dreams of the other dreamers / And I become the other dreamers." These words mirror the feelings of creative reverie Serpa and Matos had while composing the music for the album. The singer says: "We felt that this music was making us dream and disconnect somehow from the reality of the outside world - and that seemed to be a positive feeling. For us, to be able to work in this dreamlike state of mind is fundamental to staying creative and happy." About the leap from Primavera to the even more accomplished All the Dreams, Matos says: "Primavera planted a seed for us. Our duo identity developed throughout the making of that first album, and with the new one, we knew more about how to use the studio to our advantage. We wanted to pay even more attention to detail - sound, texture, words. We didn't hesitate to depart from a 'duo sound' and do whatever it took to get the right feel for each song, whether through sonically multiplying ourselves or developing the sounds we produced. The mixing and post-production process was more intensive this time, and we did things like reverse the vocals on 'amlaC.' Pete Rende played such an important role in this, not only adding synthesizers to a few tracks but mixing the album, too. It's hard to imagine the album without his contribution." As for the contribution of veteran drummer Billy Mintz, Matos adds: "We met Billy a few years ago, and he has become an important musician for me. He was super-meticulous in the studio, and the results are amazing, like pure gold. His dedication to music is inspiring, and his playing gives the record a nice contour. With Billy, there's a search for a primal beat, playing almost like a child in the sense of being free. But at the same, he has all this knowledge and experience to apply. He is a master." Serpa and Matos make for a kindred-spirit duo, even beyond being husband and wife. Her fresh, subtly virtuosic singing blends beautifully with his gleaming, flowing guitar playing. "We do complement each other as performers easily, with most of the songs being reducible to just voice and guitar," Matos says. "In the studio, we're able to guide each other to the best performances possible, with sometimes even the best arrangements coming after the first take. Our tunes tend to have slightly different vibes, with Sara's a bit more intricate and mine less dense, simpler. It creates a nice balance, we hope." In addition to those of Pessoa/Campos, the songs of All the Dreams include words by his fellow Portuguese writer Luis Amaro, Brazilian poet Clarice Lispector and the great Englishman William Blake, as well as lyrics by Serpa and Matos. 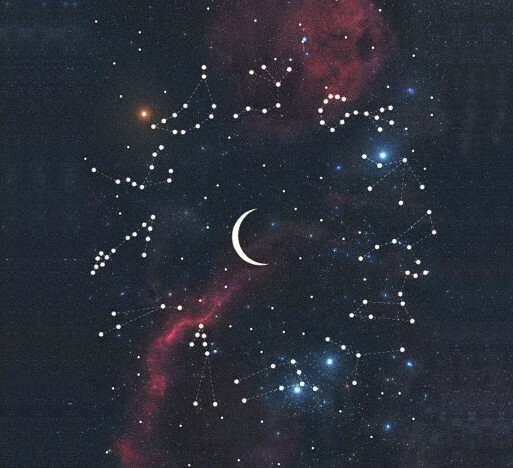 There are songs about night, dreams and the imagination, about accepting sadness and offering forgiveness, about identity and empathy, about love and memory. Even the songs without words impart a sense of mystery and romance, with Serpa singing vocalese on such gems as the opening "Calma." One of the album's other, lyrical highlights is "Lisboa," Serpa's tune-rich paean to the ancient capital of Portugal. "The words stem from something a taxi driver once told me about Lisbon having 14,000 streets, alleys and staircases - and all those reflecting so many memories, for me, for everyone who has lived there," Serpa says. "Because I live in America now, the city is distant from me, but somehow it remains so close to my heart. Every time I return to Lisbon, the memories come flooding back, the sense of place and time so strong. And music can evoke feelings of time and place - of memory - like little else in art." JazzTimes has called Serpa "a rising star," while All About Jazz has said: "Her unique style of vocalese allows her to utilize the full range of her exquisite and clear voice with the agility of an instrumentalist, standing out of the crowd as a sublime interpreter and a bold improviser." The New York Times has described Matos as a guitarist who "advances a pointedly contemporary air." 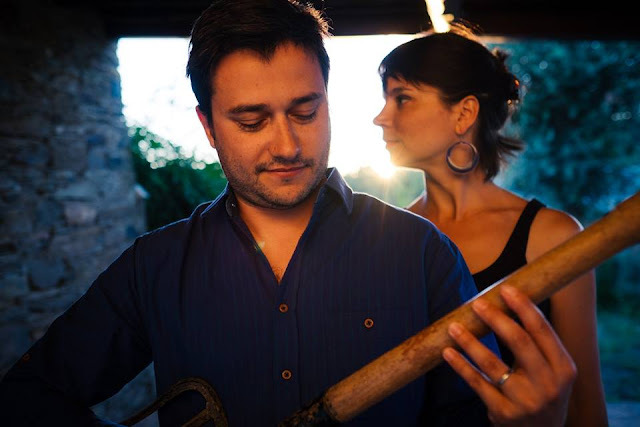 Both born and bred in Portugal but based in New York City for nearly a decade, Serpa and Matos met through music in Boston, where they both studied at the Berklee College of Music and New England Conservatory. Serpa and Matos each have long associations with some of the most important musicians in jazz. Serpa studied with iconic pianist Ran Blake, with whom she has recorded two albums, Camera Obscura (2010) and Kitano Noir (2015). Serpa joined saxophonist Greg Osby's band right out of school in 2008, performing with the group at such hallowed venues as the Village Vanguard and contributing to his album 9 Levels. Osby's Inner Circle Music label also released Serpa's debut album as a leader, Praia (2008), and her quintet album Mobile (2011), along with Camera Obscura. Inner Circle released Matos's third album, Quare (2010), and Osby also contributed sax to their duo debut, Primavera. Individually and together, Serpa and Matos have performed with such prominent musicians as John Zorn, Danilo Perez, Guillermo Klein, Tyshawn Sorey, Dan Weiss, Leo Genovese and Thomas Morgan, among others. 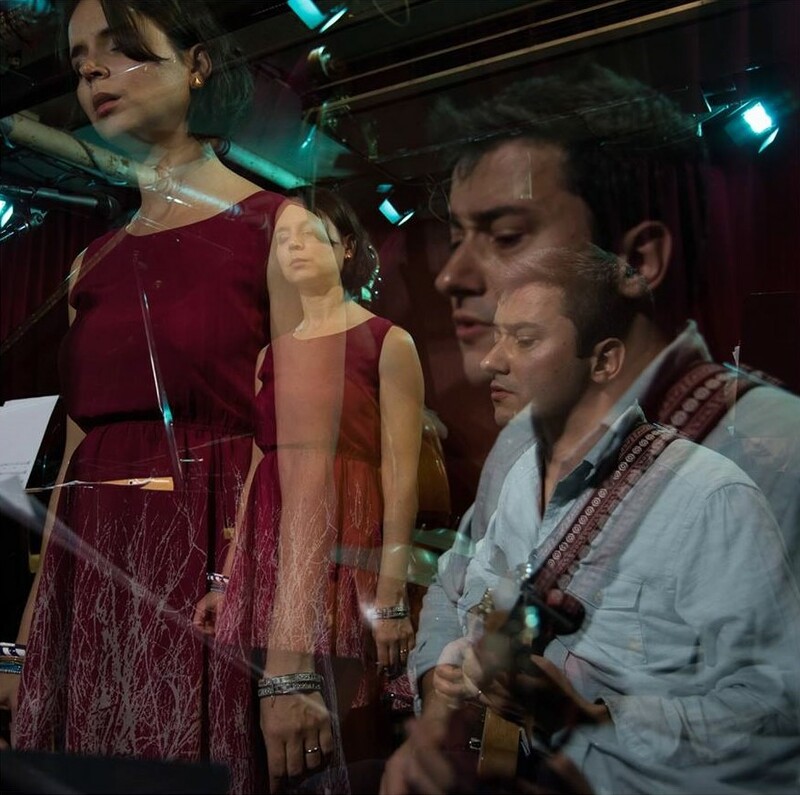 Beyond their duo together, Serpa leads such projects as her vocal group City Fragments, while Matos leads a trio featuring saxophonist Tony Malaby and drummer Billy Mintz.